« Reflected Light? Let’s Not Go There. Drapery? Where? You mean those whitish-bluish triangles and trapezoids? 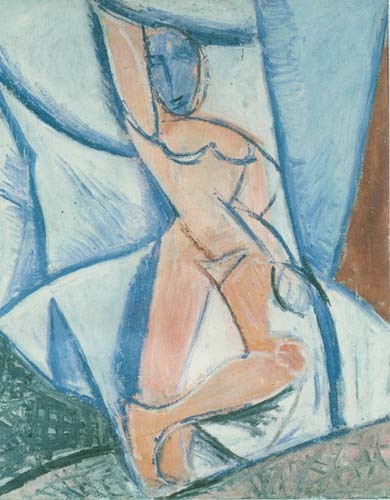 Picasso was twenty-six when he painted this. By the time he was fourteen, he had mastered the skill to create the illusion of drapery or any other illusion he might have felt like creating. There was big money in illusions in the 1890’s. But not for Picasso. With Picasso the illusion-achievements of the Renaissance come to an end. And that means, for one thing, drapery is dead. Finished. The question is, do you have to master the Renaissance skills of drapery, anatomy and perspective to be an artist? The answer is “no,” but it’s an uncomfortable no. 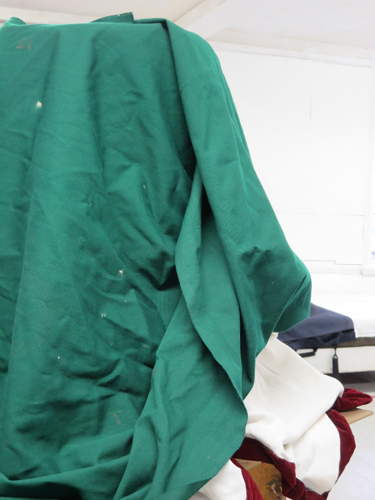 I’m uncomfortable about dismissing the value of drapery drawing/painting for two reasons. One is in the looking: drapery in an image draws the viewer in and focuses the mind like a labyrinth; more on this in the next post. 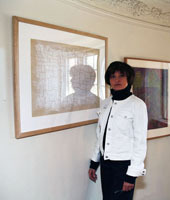 The second reason is in the doing and for similar reasons: drawing drapery develops visual concentration since you are always drawing from the image in your mind; and it focuses the mind, resulting in the kind of high that comes from a)intense concentration on a limited problem and b) repetition of minutiae. This is drawing for the sheer pleasure of drawing, meaning the “high” you get from moving that pencil. 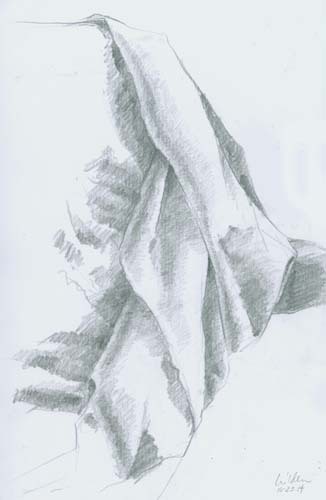 This is my pencil drawing of some drapery I set up for a demo in drawing class last week. Students watched over my shoulders and asked questions. As I was drawing I explained the procedure. This 17”x11” page took about an hour. Without my talking, I estimate it would have taken less than a half hour. It looks so easy and the principles of light-shadow-reflected light are a piece o’cake. But the doing takes practice. But, hey, it’s not like there’s ever nothing to draw. Look around you. Throw your coat over a chair, leave the dish towel on the kitchen counter, don’t make your bed—drapery drapery everywhere…. In “Outliers” Malcolm Gladwell wrote about the need and result of practice. He has made the 10,000 hour rule famous: to get good at anything takes 10 years or 10,000 hours of practice. That comes to 3 hours a day.